Dr. Ed Johnson is president of University Growth Solutions LLC. UGS is dedicated to achieving the preferred futures of America’s independent colleges and universities. The company partners with motivated institutions to create and execute distinctive, market-driven strategic plans, initiatives and inspiring stories, driven by innovative, long-term revenue stream solutions that will fuel their futures. Revenue streams growth: new auxiliary income, unrelated business ownership. Dr. Johnson currently serves on the boards of Prescott College (AZ), Sias University Foundation (China’s largest private university), the Association of Universities of Asia and the Pacific, the GREIT Liquidation Trust, and Gainey Business Bank. Creation of the nation’s first private-sector 529 College Savings Program in Arizona. Dr. Johnson previously led two higher education organizations, Everest College Phoenix and Everest University Online. He served as president of the Au Sable Institute of Environmental Studies, the world’s largest and oldest provider of field station-based environmental stewardship educational courses to faith-based colleges and universities. From 1997-2003, he also served as President of Sterling College (Kansas), a liberal arts college affiliated with the Presbyterian Church (USA). While there, Dr. Johnson created the nation’s first undergraduate program in social entrepreneurship and the first required servant leadership training curriculum in an American college. During his tenure Sterling College received many prestigious awards and acclamations, among them a Templeton Foundation Award and designation by Habitat for Humanity International as its leadership development college. Previously, Dr. Johnson served as Executive Director of the Arizona Commission for Postsecondary Education where he originated and implemented the nation’s first state-level minority student policy center and the nation’s first private-sector 529 college savings program. He was appointed to that position following service as a senior executive to the Arizona Board of Regents from 1986-1991. As assistant to the executive director, he helped guide a think tank focused on improving the Arizona Universities’ excellence, efficiency and competitiveness. 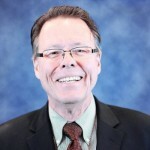 Dr. Johnson began his service to the Arizona higher education community as the Director of Community Relations for the ASU College of Law, where he originated and implemented a new national center for law, science and technology to examine the impact of new technologies from their legal and ethical perspectives. Throughout his career, Dr. Johnson has been actively engaged in state and national academic organizations and governing bodies, as well as local community service organizations. He is widely published in the fields of higher education law, administration and social entrepreneurship. Dr. Johnson holds a Ph.D. in Higher Education Administration and a Juris Doctor degree from Creighton University. He received his Bachelor of Science degree in History and Political Science from Morningside College (Sioux City, Iowa).